So there I was, strolling down Aldi's aisles looking for special buy goodies, and what catches my eye? A jar of peanut butter! 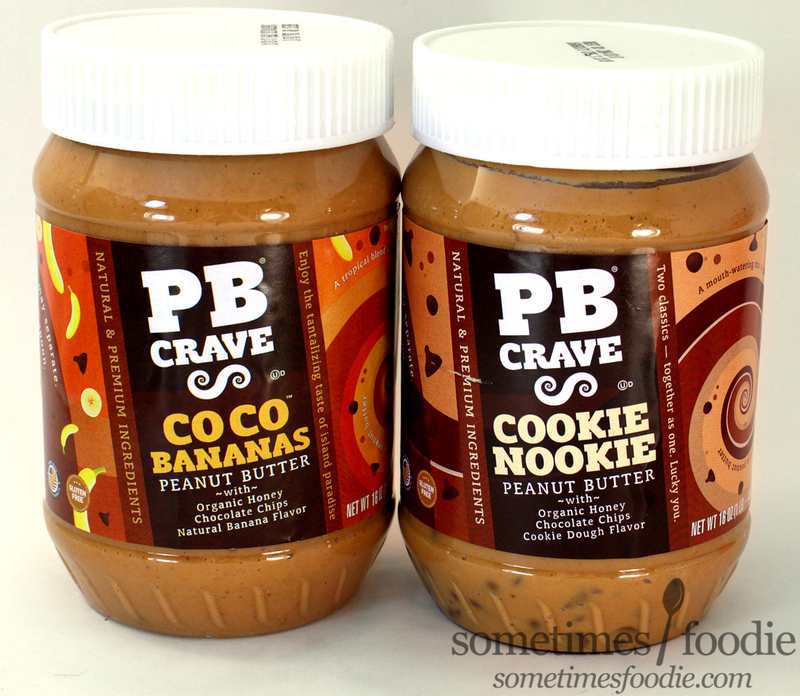 But, this isn't just any peanut butter, it's chocolate, banana, and honey peanut butter! It was a bit pricey for a jar of peanut butter, if memory serves one jar was $4.99, but it's organic, and I'm a sucker for all things banana, so into my cart it went. Let's hope that this lives up to my banana-loving expectations. 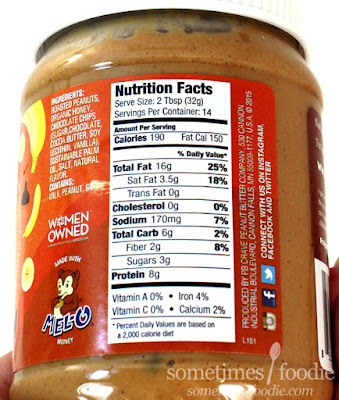 The jar is made of plastic with a paper wrap-around label, typical for most spreads and butters, but the branding is fairly unique. The swirls of color on the sides and blocky serif'd text are reminiscent of Wonka brand sweets, more like the stuff shown in the 1970's film than the goodies we can actually buy on store shelves. There's so much going on! We've got chunky colors, blocky text, swirling patterns, scattered bananas and chocolate chips, and it's all at an angle! Nothing is perfectly straight! The back panel is more structured, giving the eye a place to rest, but looking at the front of this jar you can't help but feel swept away with all the wacky twists and turns. I feel like these designs aren't fully finished, and I'm sure they'll change as the company grows, but they're off to a pretty good start. I'm excited to see what this branding goes in the next few years. I twisted the cap off and removed the safety seal to get the the goodness inside. Once opened, the peanut butter was VERY soft and runny. This is an organic peanut butter with natural banana flavoring, and honey, so this was to be expected. (Plus when I was holding the jar in-hand it was obviously very liquid-y so no real surprise there.) What did surprise me was the smell...it smells sooo good! Like peanut butter, banana, and Marshmallow Fluff sandwiches. (Which I used to eat at my neighbor's house as a kid.) I love the aroma, is surprisingly banana-heavy, with the fruitiness overpowering the peanut butter, which is pretty impressive since I find peanuts to have a pretty bold scent. I can see a few scattered chocolate chips on the surface, so I aimed for one of them for my very first spoonful. The chocolate seemed to dissolve into a spread the second my spoon touched it, so there's no crispy chocolate crunch, but this stuff tastes AMAZING. You start out with the super soft, and slightly salty peanut butter base, which is really well done. I've had organic and natural peanut butters in the past and I have never been a fan. They're always so oily with little flavor pay off...but this? Tons of flavor! You get that soft, creamy, peanut butter flavoring with a decent dose of authentic banana and a itty bitty touch of chocolate. It smells more banana-like than it tastes, but you can still totally tell what it's going for. This stuff delicious, and I can see so many applications! PB and banana pancakes, waffles, cookies, double banana and PB sandwiches, topping ice creams... but it's not 100% perfect. I wish there was an added crunch in there somewhere to make eating it straight from the jar a little more palatable texture-wise, but I can easily do that myself by mixing in mini chocolate chips. Normally I don't go for any of these flavored peanut butters, but this is the perfect one for me. It's flavorful, fruity, and really satisfying. 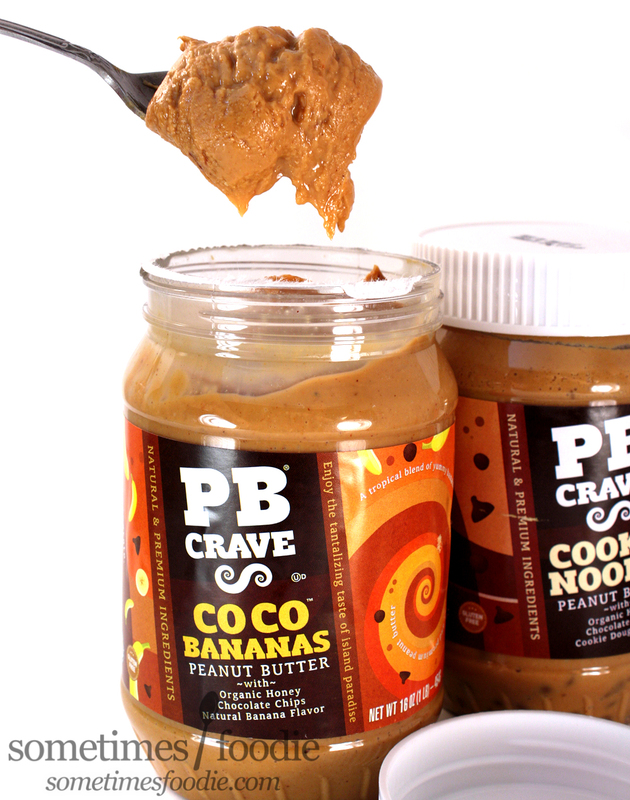 If you like peanut butter and banana, this is something you have to try! (At least once.) There's a cookie dough version that I also picked up and will be reviewing soon, but to be honest, I was way more excited about this flavor. I mostly bought that one for you guys. *UPDATE: Found my reciept and it was actually $4.99! Pretty pricey, but I do really like it. That stinks, I guess some items are exclusive to certain areas. I know here in NJ Aldi doesn't have the ability to sell alcohol, neither does Trader Joe's, so I miss out on all the wines and beers shown online for other states. 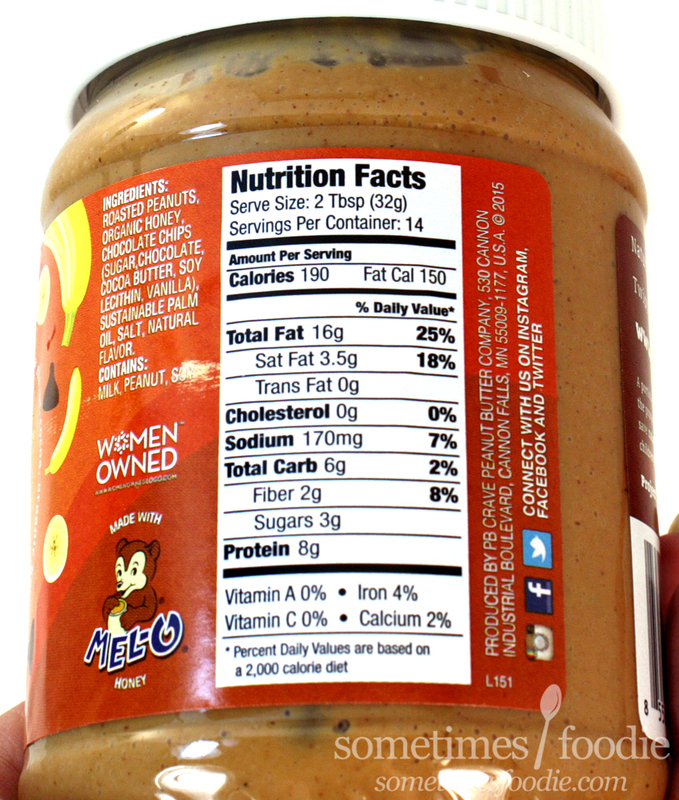 The honey in this product is the only ingredient that is labeled as organic, and I'm not sure if there's an industry standard for "natural" PB, but in my mind it's peanuts and maybe salt, with no added oil, sweeteners, etc. The label claim is just that the ingredients are "natural," which is a vague and potentially misleading claim. Criticisms about the marketing aside, I'm glad you enjoyed it! Thanks for the info! I always take all food claims with a grain of salt (and sometimes added oil). I do like this peanut butter a lot, but you're right. It does misrepresent itself and I feel like that's an important issue. You shouldn't have to deeply research a product like this to find out if it's claims are legitimate, it should be bold and upfront about it's ingredients and their origin.